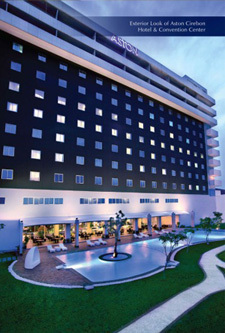 Jakarta, January 25th, 2012 – Archipelago International has opened a new 200 room hotel in Cirebon in Indonesia’s province of West Java. The new Aston Cirebon Hotel & Convention Center , located on Cirebon’s main road of Jalan Darsono, becomes the 22nd Aston in Indonesia and the largest full service hotel in Cirebon. Facilities at the hotel comprise three F&B outlets, including a rooftop bar, as well a business centre, outdoor pool and a 24-hour fitness centre. The hotel also offers 2,500m² of meeting space, including a 1,600m² ballroom. All 200 rooms, inclusive of 30 suites, are equipped with WiFi and flat screen TVs while suites also offer private balconies.